I listened to a wonderful edition of RadioLab last week, and it was all about language. These words had never shown up in English before he wrote them into his plays and poetry. Cool, huh? I have long been a fan of Shakespeare, thanks to my really-cute, freshman-year-in-high-school English teacher at my high school in California...who had us reading and analyzing The Merchant of Venice and who told me about the Oregon Shakespearean Festival. I vowed to go to Ashland one day and see for myself, which I did while in college at Oregon State. I have been back many times and have loved it every time . Hearing this podcast made me love Mr. Shakespeare even more! “An unnerving, unforgettable, and enchating ghost story, a novel about love and identity, secrets and sisterhood and the tenacity of life—even after death.” I must vehemently disagree. I have to say that I absolutely LOVED the first two-thirds of this book. I found all the characters engaging, to various degrees. I read with anticipation, waiting to see where the story led me. Then the novel suddenly turned one-hundred-and-eighty-degrees and became a ghoulish nightmare, where many of the characters were not the quirky-but-nice folks that I thought they were. They were cruel, selfish, uncaring monsters. A mother who gives up her children at nine months old and walks away, never to have anything to do with them (while she is alive) again. A twin who wants to separate herself from her sister but who is too emotionally weak that she cannot, kills herself…never thinking of the pain she will cause her family. Never ONCE thinking of anyone but herself. A mother who helps her daughter to kill herself and then ghoulishly takes her body so that she can live again. A man that realizes that his ex-lover has participated in the daughter’s death and taken her body, but that lives with her again anyway. A couple that have deceived each other, and their children, with unforgiveable lies. I wish I had been forewarned, as I would never have read this book. And now, I’m actually sorry that I did. Audrey Niffenigger, I am so disappointed. I will no longer automatically read whatever it is you write. I am a book addict. I know it. If you know me, you know it. I seem to always have 10 things checked out at the library, but that doesn't stop me from picking up something new at Costco if it is just too irresistible to me. And then there's Inter-Library Loan. It's an ENABLER! I recently read The Aviary Gate by Katie Hickman. This wonderful little gem was about a young woman from 1599 England, kidnapped by corsairs near Constantinople and sold into a harem. I adored the intelligent writing, the history, the complete ability of the author to make me feel the very suffocating isolation of the women's quarters at the Topkapi Palace. Enabler! So, of course, I had to know if Ms. Hickman had written anything else. She had. In 1992, she published The Quetzel Summer. I looked at my library's website. Nope. No Quetzel Summer there. Amazon? Nope, only a couple of used copies and those were over $20 each for an old paperback. So, I turned to Inter-Library Loan. Searching their website, I found that there was only one copy on file in the country...at the University of North Carolina. So, I asked for it and voila! Today it arrived. So, I now have about 5 books that I am reading. Check out the sidebar where it says: What is she reading? So many wonderful worlds to enter, so little time! I enjoyed the mystery that was the heart of this book, but I had it figured out well in advance of our heroine. She was searching for Deliverance Dane, whose name she found in key in her Grandmother's house. (Spoiler alert...) Deliverance Dane's daughter was named Mercy, Mercy's daughter was named Prudence, then came Patience, then Temperance. And the heroine's mom is Grace, her grandmother is Sophia, and her name is Connie (which I quite readily figured out came from Constance). And all these women had only one single child...always a daughter. She was an only child, as was her mom, as was her grandmother. Yet it took her forever to glean that this Deliverance Dane that she was searching for was her own ancestor. Connie goes to Harvard, for God's sake...I thought you had to be smart to go there. Anyway, besides THAT little bit of silliness, I did enjoy this book. There was a little more flowery description than I care for, causing me to do a bit of skimming. But the story was ultimately interesting and satisfying. I learned some history, too...always a plus. I expect some other interesting novels to come from this author. I have always been a big fan of Jane Hamilton's. I loved A Map of the World and The Book of Ruth, but my all-time favorite has to be Disobedience. I have to say, though, that I have very mixed feelings about her latest book, Laura Rider's Masterpiece. The story is of a woman who orchestrates her husband's 'friendship' with a local celebrity in order to have material for a book she wants to write. It's a lab experimet to her. It is also Jane Hamilton's poke at aspiring writers who go to Writer's Conferences and think they can write a book. It seems that Jane H is saying that you have to be a born writer, who thinks about nothing else from childhood and works on said writing skills till FINALLY becoming 'an artist'. I found the character of Laura Rider odd. She never really cares that her husband is having or has had an affair. Don't believe it. Jenna Faroli, the NPR radio show host, is the character that looks down on aspiring 'artists' that are not serious about their craft. Didn't like her. Has Jane Hamilton never seen the popularity of writers like JK Rowling or Stephenie Meyer? Maybe it's not high literature but the Harry Potter series and the Twilight series have thousands of people reading books that maybe never would have. These two writers just got an inspiration and went for it. People who attend workshops or MFA programs do become writers. So, I neither liked the snootiness of Jenna Faroli or the emotionless natterings of Laura Rider. Yet something made me go back and pick the book up and read it in just 3 days. It's very short, an easy read, and maybe just a little like a road accident...I just had to slow down and gawk. Yep, I was gawking at the train wreck that happened in this book. So, I enjoyed it, but came away feeling very ambiguous about this book. I will not recommend it to my book group; it seems too light for that. But I will tell people that they should read it and enjoy the character develop, lovely writing, and look-away-now-if-you-value-your-sanity aspects of the story. I am supposed to be reading "The Nine" (about the Supreme Court) for our May book group meeting. It is coming right up, the first weekend in May, and I haven't even started reading yet. I could plead 'guests in town'...My niece, along with husband and baby, were here for the weekend. We now have a favorite friend visiting from the UK, here till Saturday. But I still have time during the day. I could say, but I had to plan John's big birthday bash. But that happened a couple of weeks ago. I could say that I have been putting mega-time into cleaning up the garden, which I have been. But really, I COULD be spending time reading. I could. But I am a procrastinator by nature and I always seem to wait till the last few days to read the book. I would forget lots of what I read if I read it too early in the month anyway. That happens alot. So, I am NOW picking up the book and starting to read. Wish me luck. I belong to a Book Group. I'm sure I have mentioned this before, but I don't talk about it every month. This is the most fantastic group of women...I love each and every one of them. And we read wonderful, challenging books...books that I would not necessarily pick out for myself. These books s-t-r-e-t-c-h me. Make me work and think. This month, our book was The Book Thief by Markus Zusak. It is set in WW2 Germany and is narrated by Death. It is the story of Liesel Memenger, who is left by her mother in the care of foster parents. Her father had been a Communist and she is being left for her own survival, but it takes her a while to understand this. The book is peopled by some wonderful Characters, like Rudy (who wants to run as fast as Jesse Owens), and The Mayor's Wife (who has an entire library full of books that Liesel covets), and Max (the Jewish teenager who is hidden by Liesel's new family). It is a story of love and loss, of the Germans who did and didn't support Hitler. Interestingly, it is marketed in the U.S. as young adult fiction, though it was originally published in Australia as adult fiction. The author, Markus Zusak, is an Australian who based his story on the tales his own German-born-and-raised parents told him of their growing up years in Nazi Germany. This book has its positives and its negatives, though I liked it more than I didn't. I loved the idea that Death was just doing his job and was actually horrified at how people could destroy each other. I loved how Liesel bonded with the new people in her life, and took advantage of all that she was offered. I disliked that sometimes the prose was overly florid. I thought Death's narration was sometimes overly intrusive to the storyline. I thought that the characters were all very balanced and weren't stereotypes. I was sad at all the loss this little girl experienced. Wow, am I looking forward to these! Even though my library gives me 3 weeks to read a book, I (apparently) am not capable of living within that timeline. Some books, I just renew over and over and (finally) get through them. But when the book is on hold by eleventy-hundred other people, they won't let you renew it to your heart's content. NO renewals at all... Those party poopers over at the library think that EVERYONE should have a shot at reading that same (MY!) book. So it was that I found myself with my book already due, and me only 100 pages into it. Now, I loved this book (The Gift of Rain by Tan Twan Eng). 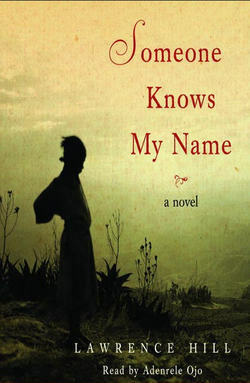 It was a debut novel, but nominated for the Booker Prize. It was the story of a young Eurasian man, set in WW2 Penang, Malaysia. He is trying to both save his family (and family business) and serve his sensei (a Japanese spy, it turns out) by working for the Japanese during the occupation AND betraying them by using the information he has to save many people. It is beautifully written and the characters are very well-drawn. Getting back to my point...I spent a couple of days devoting myself to getting the book read, so that I could turn it in with only 2 days worth of fines (= 50 cents). Cheaper than going out and buying the book and less frustrating than waiting several more months to get the book back from the library. According to the BBC, this watercolor miniature is of the man purported to be Mr. Darcy. Yes, THAT Mr. Fitzwilliam Darcy. It is expected to fetch 50,000 pounds. I'm not all that thrilled with the white hair that was so fashionable then, so I photoshopped in some brown hair. Ah, MUCH better. He actually looks like a young man, here. Could this guy have actually been as dreamy as the Mr. Darcy of THE BOOK? According to the BBC: Austen wrote of her sadness, saying: "At length the day is come on which I am to flirt my last with Tom Lefroy... my tears flow as I write at the melancholy idea." I am reading Salman Rushdie's newest novel, The Enchantress of Florence. I have found him funny...let me repeat that: Salman Rushdie is funny. This is not what one thinks of an author who has been the recipient of a fatwa by the Ayatollas-that-be of the Middle East. But he is. For vegetarians there were other, more silent cook-pots; vegetables did not scream. Much funnier than the heating-and-air conditioning technician that told me that I need a new compressor for my 8-year-old air conditioning unit. No, he wasn't funny at all. I read this book last week and it was fabulous. Somebody Knows My Name is the name of the U.S. version; apparently it is called The Book of Negroes in Canada. The year is 1745. It's the story of Aminata Diallo, who attends births with her mother, is spoiled rotten by her father, and then loses both of them and her freedom when she is snatched by black slavers. It follows her through the long march to the sea, her nightmarish voyage to the Carolinas, and her hard landing at an indigo plantation. The story proceeds through the American Revolution (where Aminata is in the service of the British), to Nova Scotia where supporters of the British are settled, on to Sierra Leone where a new free colony is established, and finally to London where the Abolitionists have enlisted our heroine in their cause. I learned so much history from this book, and the writing was so wonderful. I am racing the clock to finish the book Thirteen Moons by Charles Frazier (who wrote Cold Mountain). It is due back to the library tomorrow. Okay, okay...so I've HAD three weeks to finish it, but I was reading something else for my book group and I have a puppy to look after, so give me a break. Back to the book. In it, we are following young Will, who at age 12 was bound to a merchant to work at an isolated trading post in Cherokee Indian country, circa 1830. He falls in love with part-Indian Claire Featherstone, who he can't marry for a variety of reasons, including the fact that (in his state) whites are not permitted to marry anyone with even a drop of Indian blood. 1. Grab the book nearest you. 3. Scroll down to the fifth line. 4. Post the next 3 lines on your blog. Page 123, line 6-9: He paused at the head of the broad white ladder that led down to the Tahiti Beach. He could see Robert running back and forth with a bucket, trying to fill a leaking moat. Thomas was lying in his mother's arms, sucking his thumb, holding his raggie and watching Robert with his strange objective gaze. Haven't started this book yet but am anxious to. It is described (in the book jacket) as: An up-to-the-minute dissection of the mores of child-rearing, marriage, adultery, and assisted suicide, Mother's Milk showcases St. Aubyn's luminous and acidic prose--and his masterful ability to combine the most excruciating pain with the driest comedy. I have Mother's Milk and The Secret River now...(wow the library was fast!) and am waiting on the rest. Now I have to get reading! If you've ever been to Portland, you know we have this fabulously cool bookstore called Powell's. It occupies an entire city block and is about 4 stories high. Their claim to fame is that they carry both new and used books, so you can literally find anything there. So, I bought several months worth of my book club's books there when we put together our list in January. I always try to get a used copy from Powell's. Anyway, last month's selection was When We Were Orphans by Kazuo Ishiguro (who won the Booker Prize for Remains of the Day). My used copy (from Powell's) was previously owned by someone who had lots to say about what he/she was reading. It was full of underlinings of important points. It was also full of comments ("he's in denial!" or "my suspiscion is he's actually insane" or "duh!") and also included smiley and frown-y faces for emphasis. I felt as though I was reading the novel with a buddy...a buddy with a sense of humor! I really looked forward to my friend's insertions. Now that I am starting this month's book group book, Our Lady of the Forest by David Guterson, I find that I really miss my invisible and anonymous reading companion. I wish I could find out who he/she is so that I could tell them that I just want to buy their books directly from them. I went to see Mary Doria Russell, author of The Sparrow, Children of God, and now A Thread of Grace (which is what we are reading for book group this month). She was so smart, funny, fascinating, and fabulous! She is a paleo-anthropologist by training, and she is the most incredible writer. She was absolutely unafraid to speak frankly, but always with such humor. One of the funniest moments was when a women in the front row had her cell phone go off for the second time in about 10 minutes. She said, "Let me talk to her..." She took the phone and said, "She can't talk right now. She's at this book signing and a very famous and important writer is talking to the group right now. So, STOP CALLING HER." Everyone in the room (about 60 people or more) were just howling with laughter. She held the phone out to the audience and everyone just cheered. What a laugh! 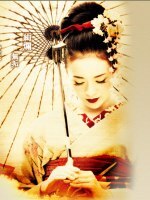 Margaret was asking me what I thought of the book, Memoirs of a Geisha, which was recently on my book list. I have very mixed feelings. I thought it was fairly well-written. It was certainly a page-turner, at least in the beginning. But I found myself getting horribly depressed by the story. First of all, this little girl is about to lose her mother, so her father sells her (and another sister). She goes to a geisha house; her sister is sold to be a prostitute. Not very cheery. Being a geisha is not exactly being a prostitute but more like a personal entertainment 'toy' for men. She must learn to dance, to play a musical instrument, the 'fine art of conversation' (though none of the conversation was very interesting, certainly not educated or refined), and how to drink lots of booze. The girls virginity was sold at about 15, usually to some much older man...always to the highest bidder. She just had to endure it. Creepy, if you ask me. When going out to clubs (excuse me, tea houses) with men, the women wouldn't be allowed to eat with them, only drink with them and entertain them. Then, the way to really survive well as a geisha, was to get a man to be your sugar daddy. All this was disturbing as to what it said about women in Japanese society. The fact that our heroine, Chiyo (who is renamed Sayuri), is doing all of this to be closer to 'The Director', who she met at age 9 and has been longing to sleep with ever since, is odd and slightly pathetic. Is this a girl whose father sold her into slavery and is dying for the approval of an older man as a father-substitute? The Director also has had the hots for her since then, too. Even creepier. Oh yeah, and he's married, but don't let that get in your way. Most of these guys are married...going out with these other women at night while their wives sit home and wait. Okay, so yes...the charm of the story wore off after the first bit. I was interested in learning what a geisha was and it was enlightening on that point. The fact that this book was written by a man, who is apparently trying to pass off this life as 'glamorous' is a little absurd. He/she also makes the point that being a geisha is not any different than a Western woman who is married to/lives with a wealthy man...implying that all these women are only in it for the money. Excuse me? I was slightly ticked off by this male view of a woman's role. buddhism, celibacy? is that right? 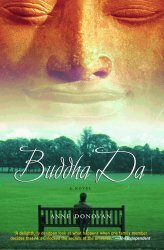 I am reading this Scottish book, Buddha Da, and I am truly enjoying it. The main character, a Glasgow housepainter, has just notified his already-upset-at-his-new-religious-tendencies wife that he has decided to be celibate for 'awhile' so that he can be more 'clear'. I think I would react the same way she most understandably does. I would go ballistic. I have done a bit of studying of Buddhist philosophy and I have not come across this. But let me just say, this seems to be a way to break up a marriage, fast. Of course, our hero is making a fundamental error here. He is missing the essential key quality of having balance in his life. He is trading in his relationships with his wife, daughter, brother, and friends for some sort of hoped-for spiritual payoff. Have not read the conclusion yet, but if this writer is as good as the reviews have said, I am sure it will be a doozy. In other news, my mom-in-law is moving into a different apartment at her senior living facility on Monday, and expecting to get phone service next Wednesday. She thought that the phone company would deliver a phone to her. Obviously, the last time she ordered phone service, something was very different. I will be running out and trying to find her a decent phone between now and Wednesday, I guess.